Edit: This story was awarded 3rd place in the Travel Writing category at the 2017 North American Guild of Beer Writers (NAGBW) awards. Patagonia, the southernmost region of South America—Argentina and Chile specifically—is comprised of some 400,000 square miles of rugged wonderlands. Jagged Andes. Mesmerizing ice fields. Pristine lakes and wild rivers juxtaposed with windswept steppeland. Plus, adorable Magellanic penguins. Most travelers who find themselves in Ushuaia, the world’s southernmost city located on Argentina’s archipelago, are here to board a cruise ship to Antarctica. Many are happy to try a Beagle Fuegian Ale or a Cape Horn Stout, but almost none venture outside the town to the breweries themselves. Both the Cervecería Beagle and Cervecería Cape Horn are owned by the Fuegian Beverage Company, which is not exactly set up for visitors. Like I was gonna let that stop me! Furthermore, while not part of Patagonia, Easter Island lies 2,290 miles from the coast of Chile, which annexed the Polynesian island in 1888. The native name is Rapa Nui, which is also the name for its people and the language they speak. It’s officially the most remote commercial airport on Earth and is famous, of course, for the moai statues made of volcanic rock that appear across the island. But Easter Island businessman Mike Rapu wants it to be known for cerveza Mahina, too. Edit: This story was awarded 2nd place in the Technical Writing category at the 2017 North American Guild of Beer Writers (NAGBW) awards. While I’m extremely grateful to the judges, it’s humbling yet a li’l embarrassing that the estimable technical beer writer Randy Mosher placed 3rd for this cool story, “Hot Process: Exploring the role of heat in brewing” in All About Beer. Stan Heironymus took 1st place with his story on brewing with honey, also in AAB. Remember Top Secret? Remember that great song in it, How Silly Can You Get? That’s how I think of a lot of beers. How alcoholic can you get? Brewmeister’s Snake Charmer has an ABV of 67.5% How bitter can you get? Flying Monkey’s Alpha-fornication packs 2,500 IBU. From OG/FG to SRM, brewers have a lot of measurements and acronyms to tell the consumer just how something something is. For sour heads, ours may come in the form of TA. Titratable Acidity. 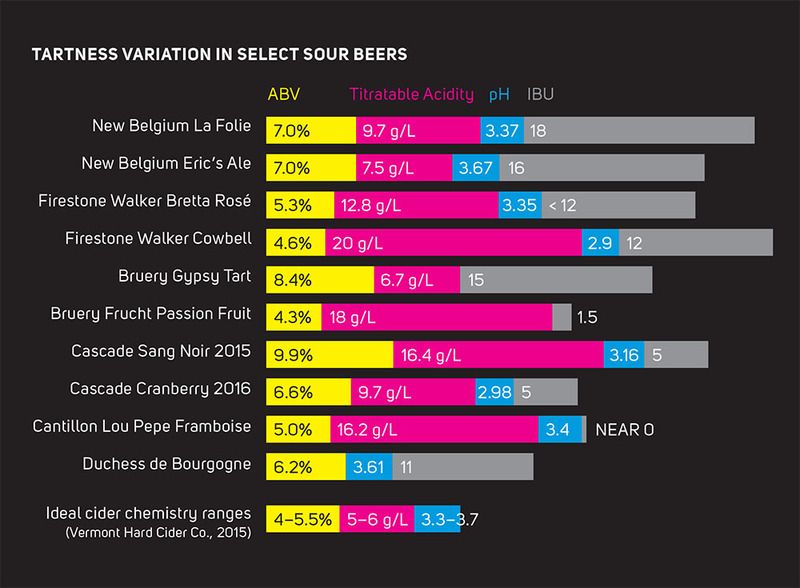 Firestone Walker Brewing isn’t the first to use TA in their lab, but they are the first to put how quantifiably sour their beer is right on the label of their funky Barrelworks offerings. Edit: This story was awarded 1st place in the “Short Form” category at the 2016 North American Guild of Beer Writers (NAGBW) awards. No one raises their eyebrows when black currants are used in a beer these days, but yogurt? To create the desired tartness and acidity in The Commons Brewery’s Biere Royale—a riff on the cassis-based Kir Royale cocktail—head brewer Sean Burke pitched tubs of the stuff. 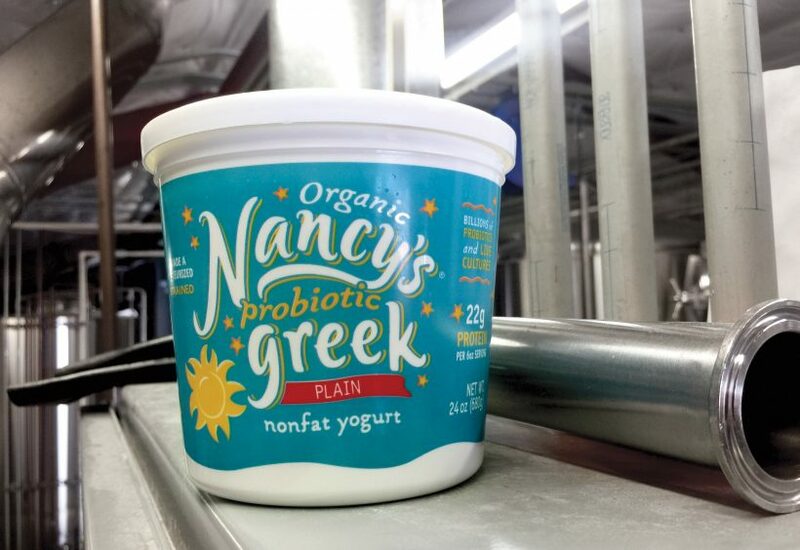 Specifically Nancy’s brand Greek yogurt. Burke is from Eugene, Ore., not far from the creamery’s location. Plus, it was in his fridge. Remarkably, the creation of that beer for the 2013 Portland Fruit Beer Festival is one the first uses of Lactobacillus found in unpasteurized yogurt to acidify beer. Instead of extensive aging in barrels inoculated with acid-producing bacteria, Burke went with a probiotic-rich dairy product. 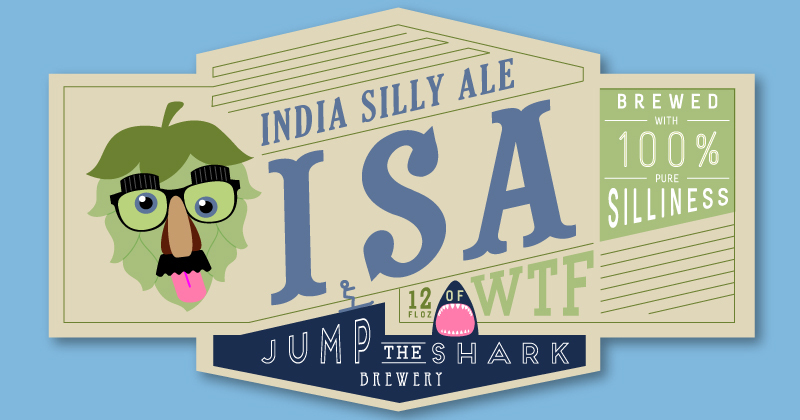 ISA label by Brian Devine for All About Beer. Larger breweries get to experiment with new flavors in IPAs all the time in the form of testing new hop varietals, such as Sierra Nevada Brewing Co.’s Harvest series, which recently featured wild hops from New Mexico and ones with good potential from Idaho. An experimental recipe designed to get consumers to try the beer once has done its job after one festival-sized sample. I think the mark of a successful recipe is one that gets consumers to crave the beer and quaff it by the glassful, repeatedly. Neither the brewers nor the consumers want to stop having fun. But at some point, it gets a bit…silly. 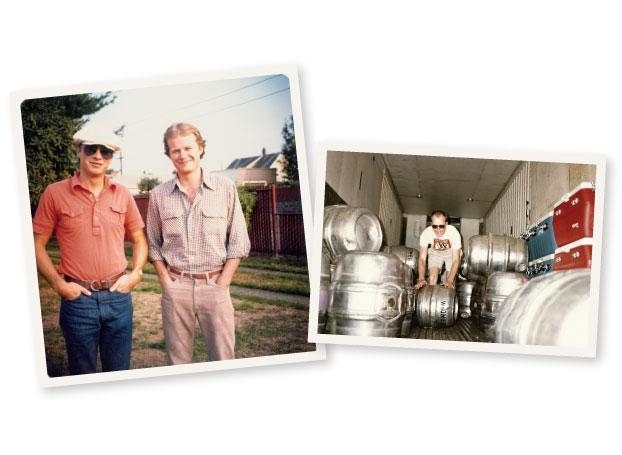 When Willy Week resurrected the Beer Guide, I was tasked with writing the oral history, as it were, of one of this city’s most seminal beer offerings: Widmer Brothers’ Hefeweizen. It has protagonists, controversy, some romance, and pretty much everything needed for a Hollywood blockbuster save for a rando choreographed fight or homecoming dance scene. Oh, this story also netted me a 2nd place finish in the inaugural award ceremony of the North American Guild of Beer Writers!